All Levan homes currently listed for sale in Levan as of 04/18/2019 are shown below. You can change the search criteria at any time by pressing the 'Change Search' button below. If you have any questions or you would like more information about any Levan homes for sale or other Levan real estate, please contact us and one of our knowledgeable Levan REALTORS® would be pleased to assist you. "Nestled against a rolling forested hillside. 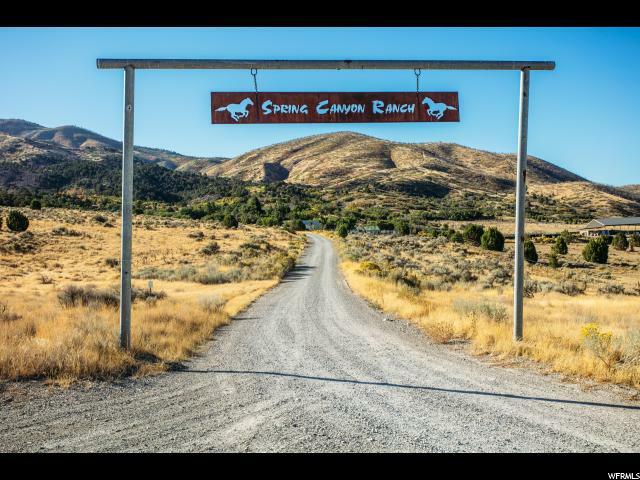 The Spring Canyon Ranch provides a lifestyle that includes farming, equestrian activities, livestock raising, & the 4 seasons of the year. A roping arena, tack & wash area, 6 stalls, covered & uncovered roundness, & 60 acres of irrigated pastures gives the ranch full capabilities that can have multiple uses. The nearly 4,000 sqft home was modernized and renovated in 2007. The home has a beautiful kitchen for all of those farm fresh spring meals, heated floors to keep you warm in the winter, plenty of water to get you through the summer, and a plethora of trees to show off those fall colors. The home also has over 1250 sqft of storage area in the basement. This ranch has many extras and can be utilized in a variety of ways. Come see it to experience all that it has to offer. Spring Canyon Ranch includes a 3740 sqft home with an additional 1252 sqft of storage space (home totals 4,992 sqft and was updated in 2007). 193 acres with 1/3 interest in an additional 62 acres. Covered stables/corral, covered hay storage, tack & wash area, roping arena, 24 shares of irrigation water, private spring that feeds a 100k gal tank, 1/3 interest in a culinary spring that feeds an 80k gallon tank. Water FROM tanks is gravity feed. All utilities are located underground. "